Many people like to picture themselves as a secret agent. They like the idea of playing in the high stakes games involved in the spy world. When you play Agent Jane Blonde mobile casino game you are able to turn part of that fantasy into a reality. Agent Jane Blonde is a 5 reel slot machine. A player can choose to play on up to 9 pay lines every time. The more lines that you play, the more chances you have to win. Agent Jane Blonde is the female version of James Bond, but this is a game that both men and women can enjoy. It offers players a wild symbol in Agent Jane Blonde. This symbol can be used to match any of the other symbols on a pay line to turn that line into a winner. The Scatter symbol is another Agent Jane Blonde symbol. For the scatter symbol the words Agent Jane Blonde are written over a target. Scatter symbols can be matched anywhere on the screen regardless of whether they are on a pay line or not. In addition to the payouts for matching symbols on a pay line, the Agent Jane Blonde mobile casino game offers other ways for players to win. If you can get three of the scatter symbols on the screen at the same time, you will be awarded 15 free spins. 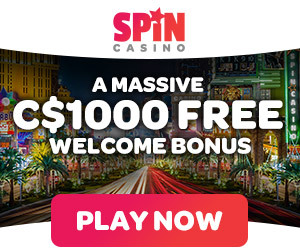 All of the winnings during these three spins are multiplied 3 times. Another way that you can win is through the gamble bonus game. This feature is activated each time you have a winning spin. You are given the opportunity to double your winnings. The real gamblers will try to quadruple their winnings with this feature. After you have won on a spin, you can choose to risk your winnings by picking either a red card or black card. If your card choice matches the games, you will double your winnings. At that point you can risk it again by choosing another card. If you win again, you will have quadrupled your winnings. It is exciting to play a game where you will not only be able to win, but will have a chance to increase your winnings easily. The number of multipliers in this game makes it one of the most popular games being played on mobile casinos today. Agent Jane Blonde would not be as fun to play if it were not for the high quality graphics and great sound effects. It also plays quickly and offers players many different ways to bet and play. The auto play option lets people control how they want to play their game. If you want to start playing Agent Jane Blonde mobile casino game, you do not have to work very hard. It only takes a few minutes to start playing. All you need to do is provide some basic information and use one of the acceptable payment methods and you are ready. Follow these steps if you want to enter the spy world. Collect your promotional bonus by making a deposit and start playing.